The first year we moved to Honduras, we were told that many people had a security guard at their house. At the time we did not find this to be necessary. However, a year later when someone robbed our house we decided it was time to get a security guard. This is how Teodulo came into our life three years ago. During the interview process he shared with us that he had recently been attacked by a machete while guarding a warehouse. This was exactly the guy we needed. The first week on the job he was able to track down the young man who robbed our house. Unfortunately, the young man skipped town before the police could arrest him. The send week, we were preparing for a mission team and asked Teodulo to open the door. However, he could not open the door because he could not twist his wrist from the machete injury. That day we prayed for God to heal Teodulo’s arm. The next day he came to the house with a smile on his face. As soon as I opened the door he demonstrated how the mobility in his arm had returned. He shared with us that God healed him immediately after we prayed. Since that day Teodulo has been faithfully working with us. Teodulo is the most loyal Honduran in all of Honduras. He works as a security guard at the Hopkins’ house and also at the radio station, Radio Rio De Dios. He is always willing to help out in any way possible, whether it be mow the Hopkins’ yard, staying late at work, work hard on the Hunger Farm, or praying for others. There was one time a man came over to the Hopkin’s house asking for help. Teodulo had no money to give, but he sat the man down and prayed for him. Teodulo has such a big heart. 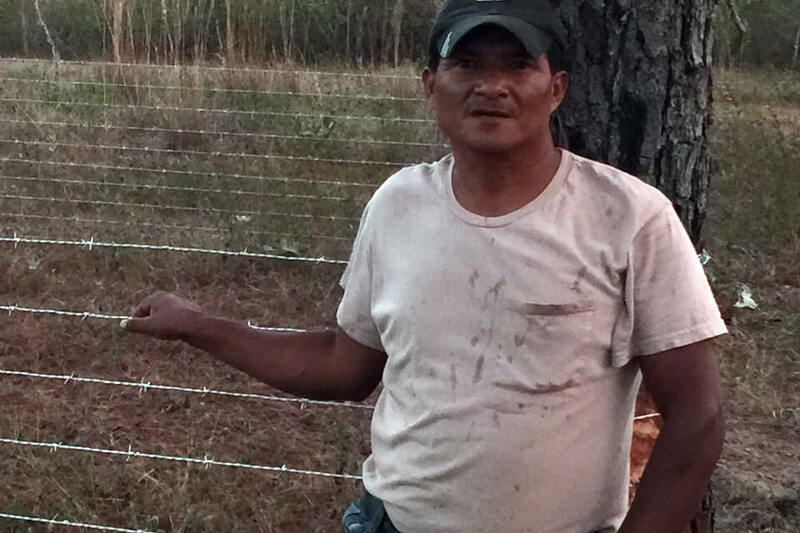 He is one of the funniest, hardworking, and faithful Honduran men we know. If you’re having a bad day, you can spend just a few minutes with Teodulo and he will have you laughing up a storm. Simply put, Teodulo is a great man who loves the Lord but always needs prayer to keep persevering. Please keep him in your prayers!